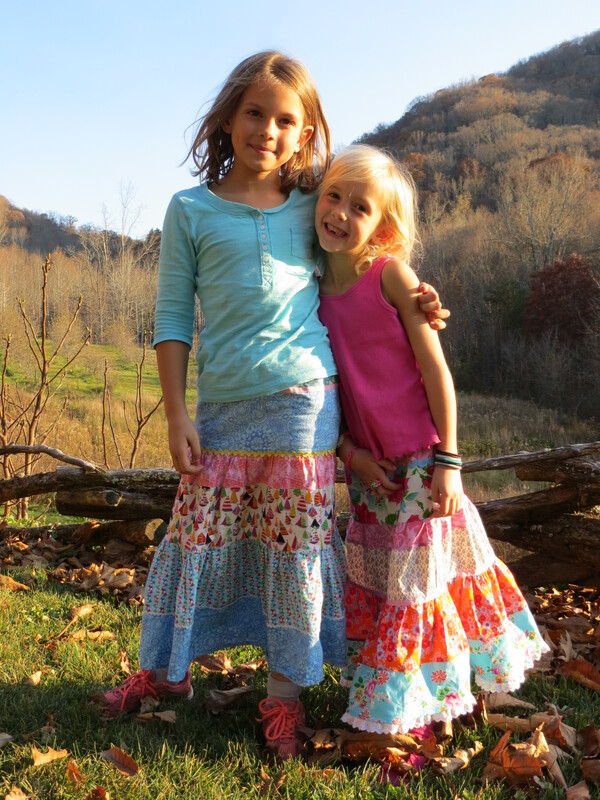 I finished Evva’s skirt last week and she wore it immediately. She is wearing it today. 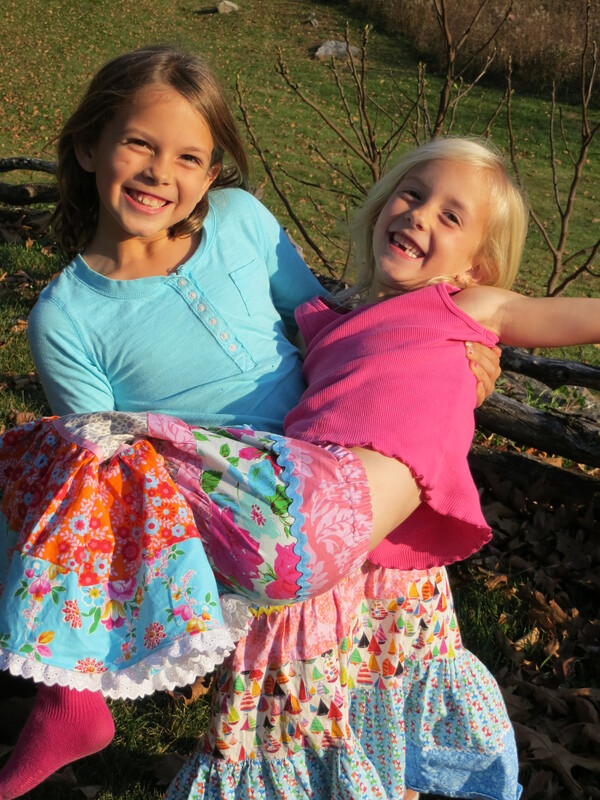 I thought of how both girls had chosen different types of fabric, somewhat reflecting their personalities–but after I finished Evva’s skirt and saw them together, I realized how similar the skirts are. I am glad to make them such a fun fashion object–one in which they were involved in creating. Such sweet girls, such sweet sisters.